It’s no wonder that Leslie Grooters is one of Vail Valley’s most well-known and sought-after real estate brokers. 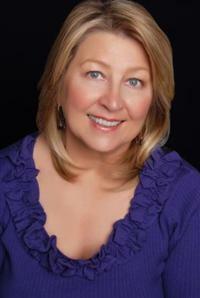 She epitomizes integrity, energy, hard work and creative service in every detail of your real estate transaction. Having lived and worked in the valley for over 25 years, Leslie is a very active and connected community member who knows everyone and everything about the area. Leslie has a passion for selling and is dedicated to getting top dollar! She also helps first time homebuyers or people looking to purchase a second home, investment properties, land and rentals. Whether it’s a quaint vacation home or a luxury property on the mountain, Leslie will make your real estate dreams, a reality. In addition, she has a proven record of directly impacting her client’s financial success and propelling smooth transactions by applying refined management, selling and negotiation talents. Focusing on Vail, Beaver Creek, Singletree, and surrounding areas, Leslie knows locations, value, property types, and pricing– not to mention attractions and events to entertain you and your family. Being a part of the Keller Williams family, Leslie has support from the largest franchise real estate company in the world with over 186,000 agents in 33 countries. In fact, Keller Williams was voted “Most Innovative Real Estate Company” by Inman News due to recent technology developments only available to KW agents. At Keller Williams, they take a different approach, one that is built on personal touches, professional approaches and positive results, where every transaction is a Win/Win!